The agreements announced in Havana today between the Colombian government and the Revolutionary Armed Forces of Colombia (FARC) could bring to an end that country’s 51-year war. The parties have now committed to an immediate, bilateral cease fire and to sign a final peace agreement within six months; the FARC have committed to disarm within 60 days thereafter, and both sides have agreed to provisions on justice for war crimes. The announcement also comes as particularly happy news to Douglass Cassel, professor of law and adviser to the University of Notre Dame’s Center for Civil and Human Rights (CCHR), who had played a crucial role in the peace talks. According to Cassel, who was appointed in July by Colombian president Juan Manuel Santos to a bilateral working group in the talks, the agreement could profoundly affect the politics of Colombia and greatly accelerate support for the peace process. “After five decades of violence and suffering, today’s announcement means that the Colombian people at last have a real prospect of living in peace." The six-member working group, or subcomisión, on which Cassel served included three members named by FARC and met in Havana. The group’s task was to develop proposals for legal mechanisms to hold accountable those responsible for the most serious acts of violence committed by both the government and the rebel forces during the war. Cassel, who served as director of CCHR from 2005 to 2012, has also served as a consultant to the United Nations, the Organization of American States and the U.S. State Department. From 1992 to 1993, he served as legal adviser to the U.N. Commission on the Truth for El Salvador. 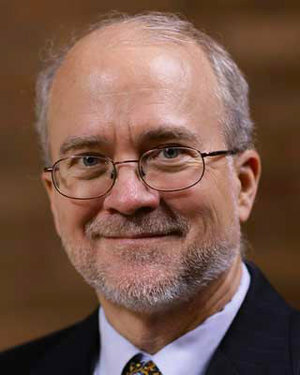 He has filed several amicus curiae briefs in the United States Supreme Court involving the rights of prisoners at Guantanamo, and he has represented victims of human rights violations in Guatemala, Peru and Venezuela, in cases heard by the Inter-American Commission and Inter-American Court of Human Rights. Originally published by catherine behan at law.nd.edu on September 23, 2015.